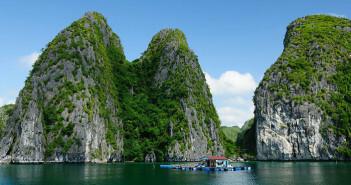 Perhaps, there is no country like Vietnam in the way it surprises the world by its own eating and drinking culture. While most people in other countries consider animal parts should be thrown away, Vietnamese people can take advantage of the whole or body parts of the animals to make delicious food. Drinks in Vietnam, with no exception, have weird ones that take international tourists back at first. It can be said that Vietnamese people are adventurous drinkers and eaters. Read on the below list of Vietnam’s weirdest drinks and you might be interested in them if you come to explore Vietnam. 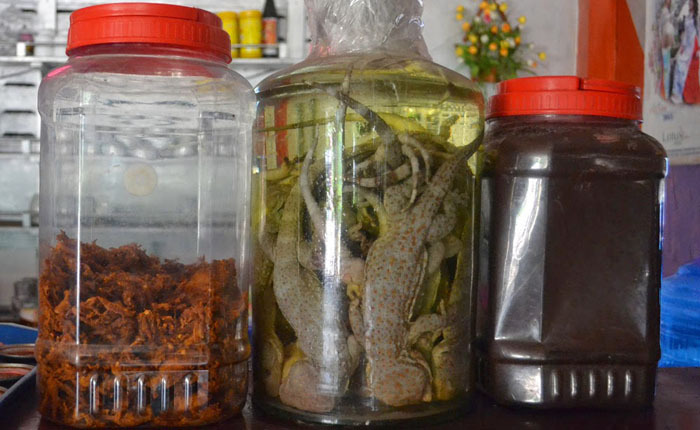 Have you ever heard of snake wine – one of the strangest drinks offered by Vietnam? You can come across this kind of wine in myriad restaurants in Vietnam. 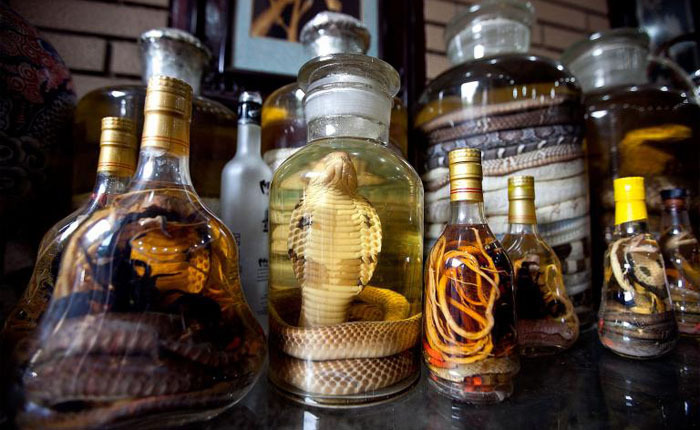 Vietnamese people use the venomous snake to make snake wine. In overall, most snakes can be used to produce this unusual kind of kind, but most preferably venomous to get the best taste. But don’t worry because poison of the snake has been denatured by an alcoholic content of the drink known as ethanol. Thanks to ethanol, poison totally dissolves while necessary proteins still remains and then becomes safe to drinkers. With a big jar full of white rice wine, the whole venomous snake is placed into the jar together with some small ones, insects or even birds. The best way to taste this is to try just a little bit in a shot glass. Welcome to Vietnam and enjoy this weird drink. It’s not exaggerative to claim that there’s nothing more bizarre than sip a drink made from dead lizard. 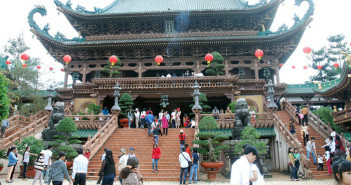 You may not find this any other region in the world other than in Vietnamese villages. It is a common drink for many people, especially the old ones. The reason for the appearance of this strange drink comes from the belief that lizards brings about powerful energy that others cannot. The more you drink, the stronger you become. So, if you have a chance to visit Vietnam, don’t forget to check out that special drink. With scorpion wine, it is considered as a precious treatment for some diseases including back pain, rheumatism and other health-related conditions. 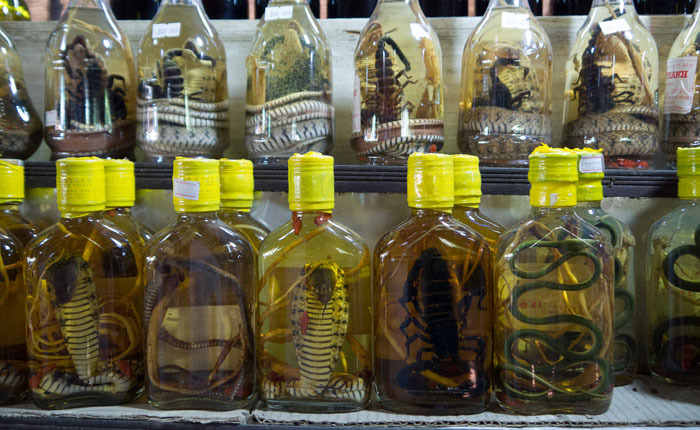 Similar to snake wine, scorpion wine is also preserved in white rice wine. Then, it is kept for a long time before taking out for drinking. These kinds of wines are often preferred by people of old age. When traveling to Vietnam, try its taste to feel how it is.